This is our final week of our "Products we Love" sale- these items are on 14% off this week! Scenic Route Papers We love these double sided papers in fresh colours and patterns! We love their scrap strips, which give you a variety of patterns (and words) on one sheet of paper. We love the variety of themes and styles. We love how so many of their designs cross over from feminine to masculine. 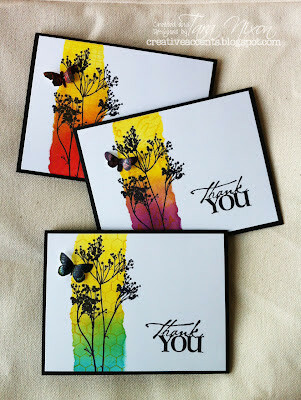 We love the trendy touch they add to layouts and cards! Tombow Markers We love these dual tipped watercolor markers and the variety of colors they come in. We love their vibrant colors and how juicy & long lasting they are. We love that you can use them for a variety of techniques (regular coloring, watercolouring, direct to rubber...). We love that you can buy them buy the dozen or individually. Stamping Bella We just love the unmounted images from Stamping Bella! We love that it’s a Canadian company, with a variety of images from sassy to chic. We love the variety of occasions and ages we can use these stamps for. We just love how cute “Bella” is and how fun she is to colour and create with! We also love that there is always something new coming out from this fresh, funky, Canadian company!